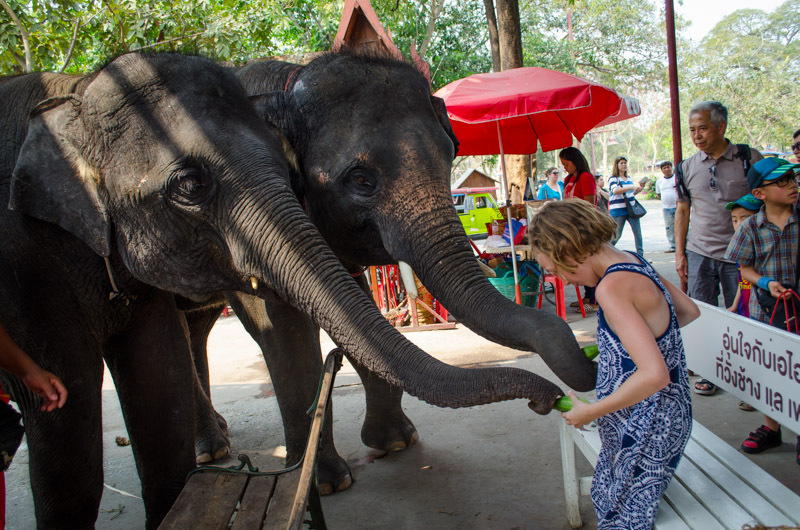 In Thailand I got to feed and pet baby elephants. I saw one of the baby elephants chained, and I also saw that the elephant had some wounds that could have been caused by elephant hooks. It made me sad to think that this wild creature was in a corral and has to work all day. 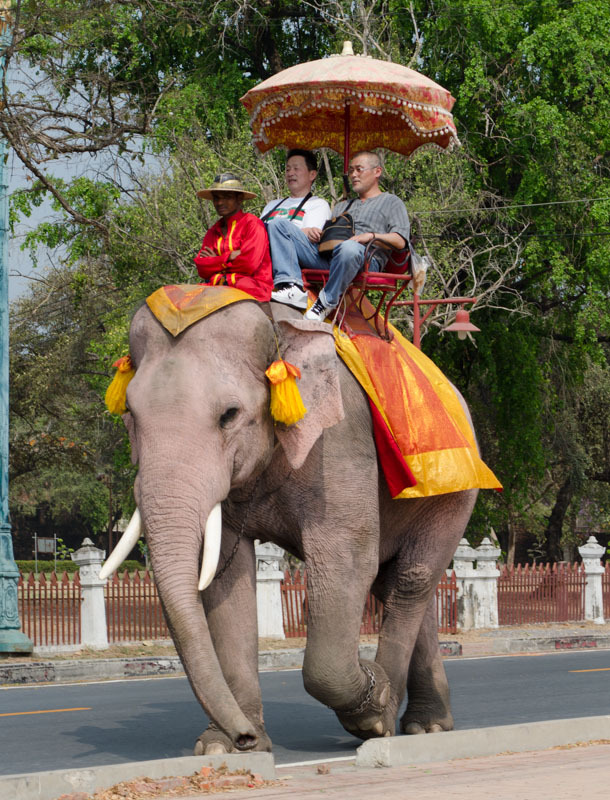 Elephants deserve to be free, not work all day and do silly tricks for tourists. Asian elephants are found in Southeast Asia. One way to tell an African elephant from an Asian elephant is to look at their ears. African elephants will have their ears in the shape of Africa. I guess you want to know why Asian Elephants are endangered. There are about 30,000 Asian elephants left in the wild. In Indonesia, the elephants are endangered, because the people are cutting down trees. They are cutting down the trees, because they want to grow oil palms to make palm oil. The elephants are going to the farms and eating the crops. The elephants are coming to the farms, because there is not enough food. If people did not cut down the trees the elephants would not be starving and coming to the farms. The farmers are poisoning the elephants to protect their crops. In Myanmar, elephants are dying because of tourism. People are killing the parent elephants and capturing the babies. They are smuggling them to Thailand and then they are using them to ride them. That is why Asian Elephants are an endangered animal. Also they are killing the elephants for their tusks. They will use the tusks for ivory. Stop buying ivory and palm oil products. Now you know about Asian elephants. Wonderful,commentary Sydney. Enjoy following your progress around the world. It’s Addie your cousin! I think its AWESOME that you got to actually feed an elephant! It is very rude that people kill elephants and chain them up for riding and stuff! !